Oh, California Wine Country. How I have wanted to visit you! Add to that that when some of our dearest friends moved to San Francisco, we promised to visit. So when our ten year wedding anniversary arrived, and my sweet husband suggested a trip, I knew the answer before he finished the question. Take me to San Francisco and Wine Country! Planning this trip was nearly as fun as going. Studying road and appelation maps, researching wineries and restaurants, structuring an itinerary and making reservations…I was in foodie/wine-lover/Type-A/map-nerd heaven. 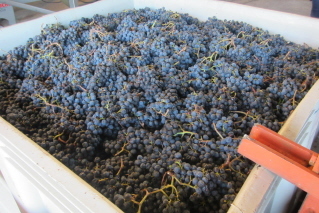 We visited in October, just after harvest for most wineries but at the tail-end for a few. We thoroughly enjoyed our visit and I would love to go again. I took many pictures and have some comments regarding the places we visited, but first, I have a few general suggestions for those planning a trip. Make reservations for winery tours and dinners. Give yourself some time in your itinerary to just be and wander, but be sure to have reservations for those things you would be disappointed to miss. Plan ahead. Winery and restaurant reservations were sometimes a month or two out. We booked ours about two months in advance. 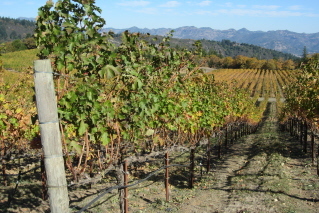 Visit two wineries a day. If you’re serious about learning about the wines and visiting the vineyards and such, book a tour in the morning (the nicest place) and a tour in the afternoon. If you have extra time, you can stop into a tasting room (some places don’t require a reservation to drop in and do a quick tasting). 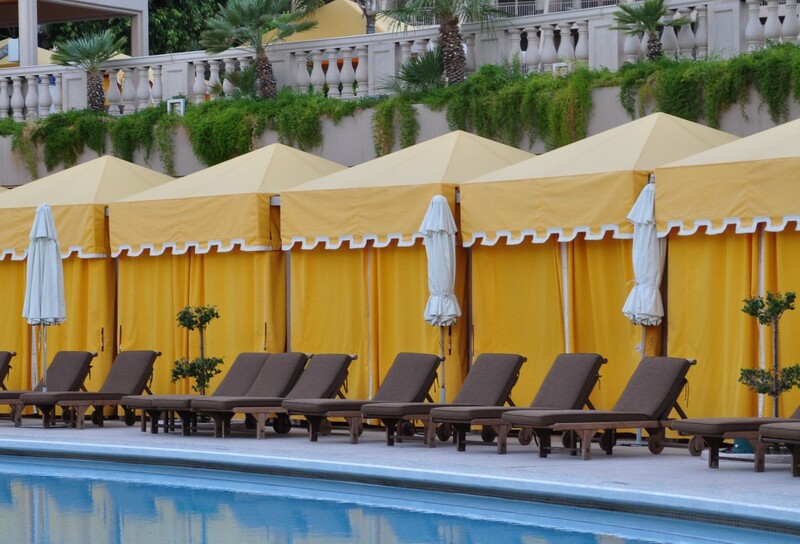 The morning tours felt the most leisurely and morning outdoors is a lovely way to start the day. And yes, 10 AM is an entirely appropriate time for a wine tasting. 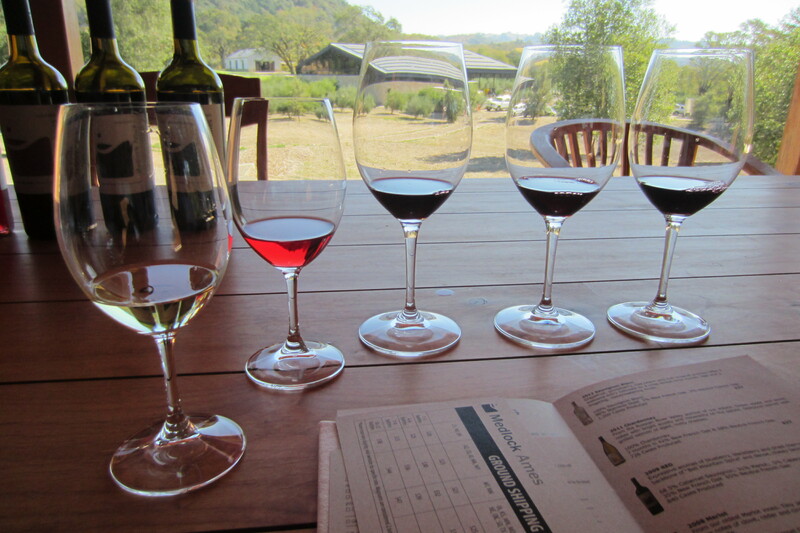 Better to enjoy your tastings throughout the day than cram too much in and be miserable. Visit different types of places. We loved the uniqueness of each winery we visited (and know there is so much more out there!). 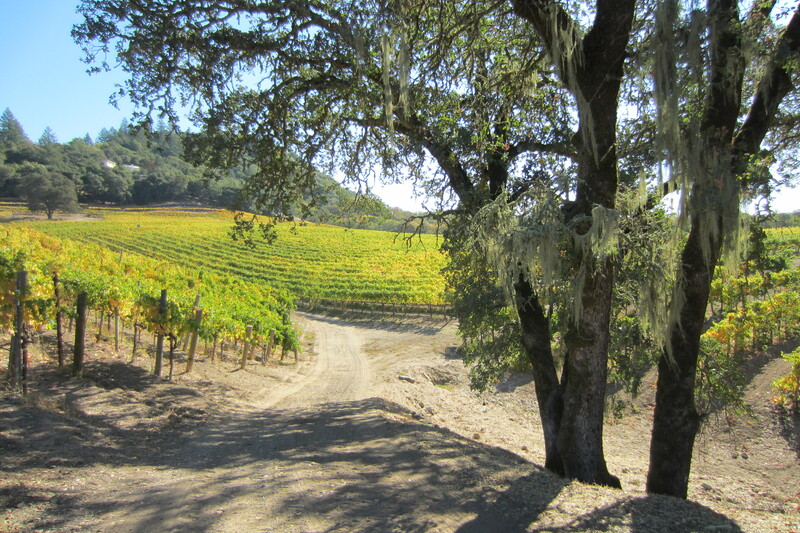 We toured at an ultra-premium wine estate, a mid-range winery, an organic mid-range winery with a ranch operation, and a large commercial winery. It was fun to see the large operation, but if I had to do it over again, I’d have skipped it and done another smaller and nicer winery. Allow time for driving. 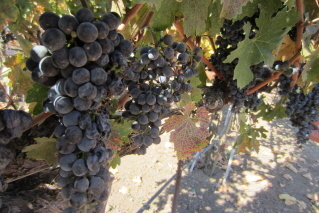 We visited both the Napa Valley and Sonoma County (mostly the Alexander Valley area). Plan your itinerary geographically (so you aren’t driving back and forth) and with enough time to drive from location to location and arrive a few minutes early. Some of our drives were up to 45 minutes. No sense being stressed on vacation. We found that wineries allowed those arriving about five minutes late to join the tour, and had all other just meet up with the group in the tasting room so as to not disrupt the tour. Dress is Napa Casual. You will see alot of casual dress in wine country, but I am most comfortable if I’m overdressed (versus underdressed). I wore a comfortable sundress with a cardigan or denim jacket by day (with sandals or comfy flats) and carried a pair of heels to change into for dinner. My husband wore dressy jeans and button-up shirts with a sporty leather shoe. We only dressed up more for one dinner (little black dress for me, slacks and button up with blazer for him). Of course, dinner dress depends on the restaurant. Layers layers layers. 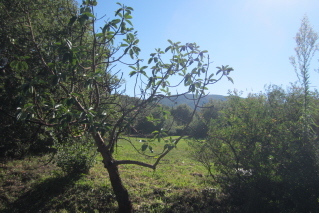 In October, it was chilly in the mornings and evenings, and quite warm in the afternoons. Be sure to bring a jacket for early mornings and cave tours, and wear something lighter underneath for when you may find yourself in a mountaintop vineyard basking in the California sun. Now to get down to our itinerary. We had two full days and an extra evening upon our arrival. We stayed at the luxurious (and quiet!) 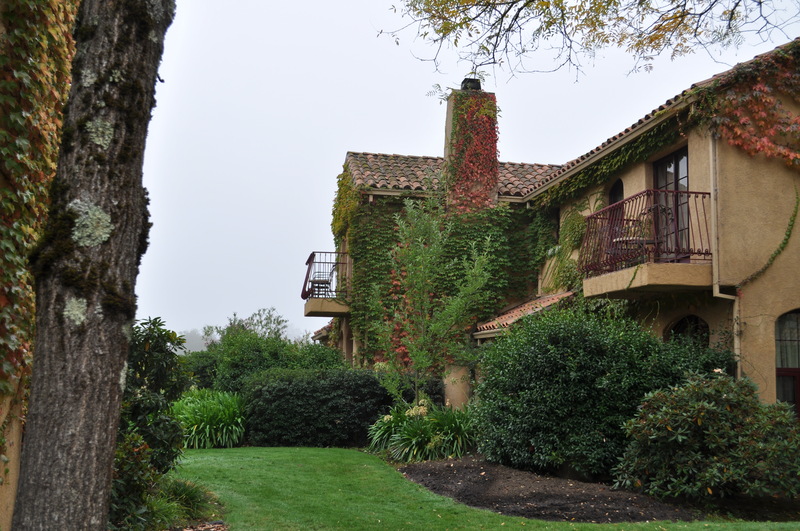 Vintners Inn, located in Sonoma County (Santa Rosa) which was nicely positioned to provide us easy access to the Napa Valley for the full day we would spend there. 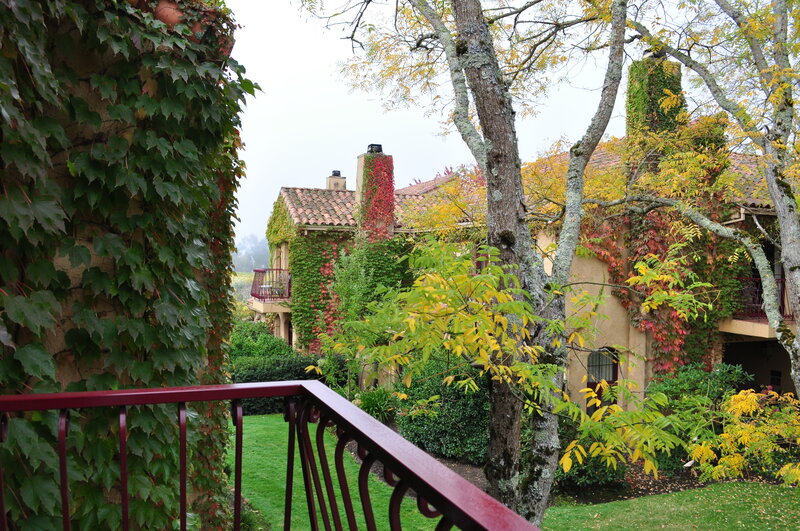 I found Vintners Inn using reviews and was thrilled when I found a TravelZoo deal there. You can read my Trip Advisor review of Vintner’s Inn here, but in short, it was an elegant retreat to return to after our adventures. 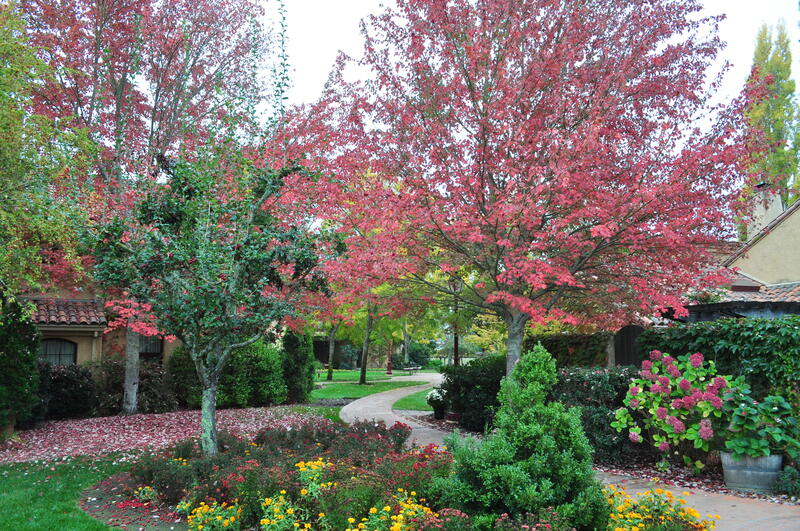 The Inn is nestled next to a Ferrari-Carano vineyard and features gorgeous landscaping with fountains and courtyards. We actually wished we had additional time to spend just at the Inn to further enjoy the grounds. We enjoyed a round of bocce ball but there was more to see and enjoy. We will most certainly return. This was the perfect solution for dinner on the evening we arrived. 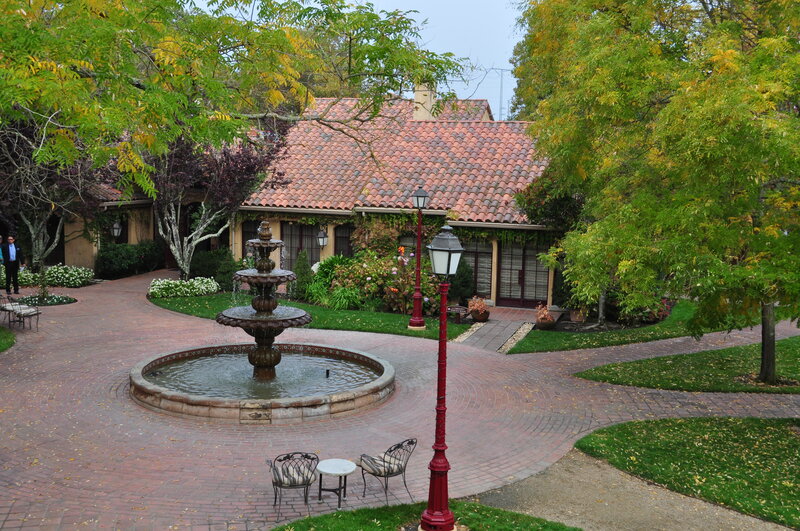 Located on the grounds of Vintners Inn, it was a quick walk from our room. We enjoyed attentive service and excellent meals. See my Trip Advisor review here. Lucky us. Our hotel package included discounted breakfast. Among the highlights of our trip are the cozy morning meals we enjoyed by the fireplace here, staring out at the fog on the vineyard. Both my husband and I ordered the outstanding Country Breakfast each morning, complete with local eggs, breads, and bacon. And then we were off! 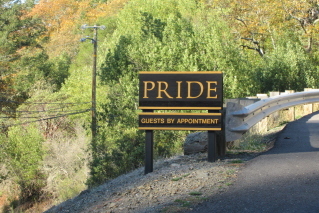 There could not have been a more spectacular way to begin our wine country experience than a morning tour at Pride. Jay Hebert led our tasting tour (if you visit, do yourself a favor and request him) through some harvest excitement, into Pride’s caves, and across the vineyard. We laughed, learned much, and our jaws hit the floor when Jay threw open a door from a tasting room in the caves to reveal a terrace overlooking mountaintop and hillside vineyards in the morning sun. Absolute perfection. We were so grateful to be in wine country! 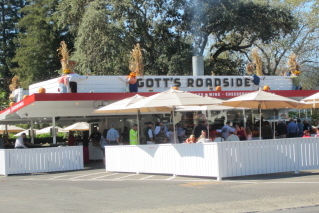 Gott’s is a wine country institution, known for its burgers and shakes. Go early to beat the line (if that’s possible) and enjoy lunch at a picnic table on their grounds. I’m not a big fan of burgers, so I ordered chicken fingers and they were greasy, but delicious. If your stomach can manage, stop by to grab a beautiful English muffin to enjoy now or later. 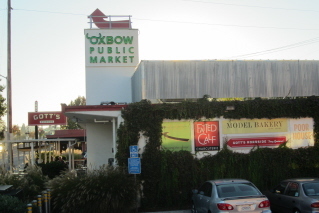 There is also a location at the Oxbow Public Market in Napa if you want to grab one later. The super-premium Jarvis was our “splurge” tasting but well worth the expense. 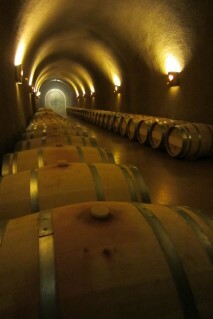 The operation, short of the vineyards of course, is entirely underground in a 45,000 square foot cave. This makes for a interesting tour including underground streams and waterfalls. Our tasting was out of a storybook. 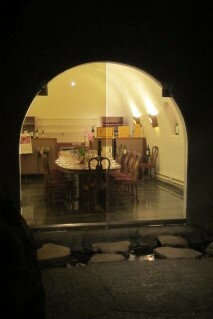 We crossed the underground stream into the glass tasting chamber, and enjoyed a very-generous and leisurely seating tasting with paired cheeses. The wines were simply amazing, particularly the reds. But to my surprise, I selected a WHITE as my favorite! The Finch Hollow Chardonnay changed profiles so beautifully as it warmed that it just blew my mind. I had to bring one home. We arrived for our tour rather early and were invited to visit and taste from the estate’s Experimental Vineyard showcasing 55 varieties of grape. This detour ended up being one of our favorite activities on the trip. Pro Tip: Many wineries will “comp” the price of your tour if you purchase a bottle, but expect to purchase a lot of wine for this to happen at premium and super-premium wineries. 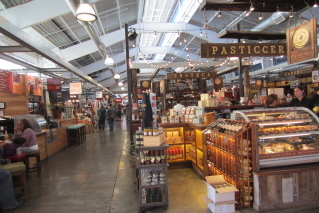 If nothing else, take a little walk to see this market’s specialty food offerings. 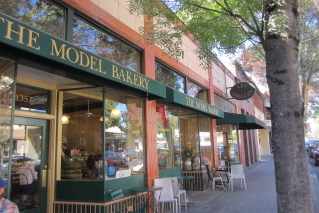 There are also second locations of Gott’s, Model Bakery, etc. 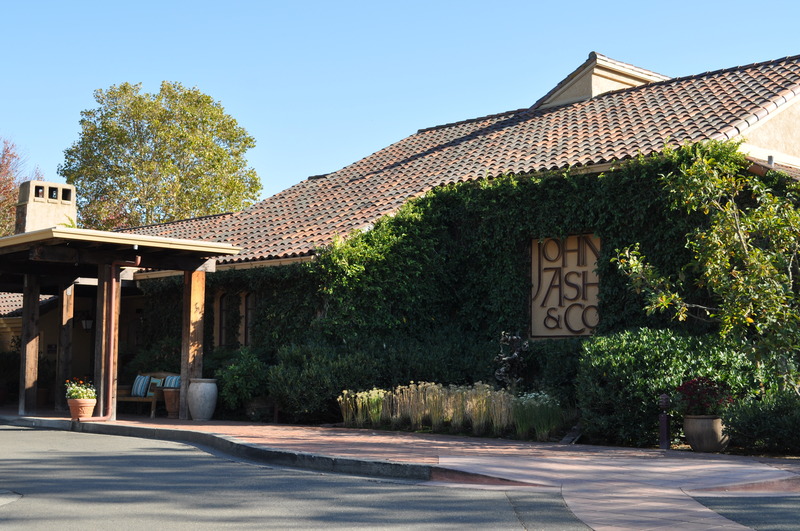 I refused to visit the Napa Valley without a visit to one of revered American chef Thomas Keller’s restaurants. And you should, too. 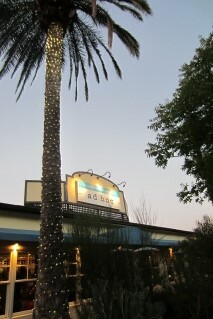 Ad Hoc, according to Keller, was to be a temporary restaurant while he worked on a different concept. It is no wonder it has had wild success of its own. 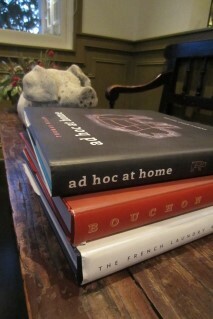 Ad Hoc focuses on precise preparation of comfort food using seasonal and local ingredients, served family-style. The prix fixe menu changes daily and you’ll need a reservation, so you are generally going to eat what you’re served (but chances are very, very good that you are really going to like it). The night of our visit, our menu was chopped romaine salad with cauliflower and cornbread crumble, tri-tip with forest mushrooms and golden beets, Cowgirl Creamery’s Mt. Tam cheese with spiced honey and apples, and red velvet cupcakes with cream cheese frosting. Perfect! Each course was delicious, perfectly prepared, and neatly presented. I enjoy the Ad Hoc menus so much that I still receive them by email daily and often use them as inspiration for my own meals. Perhaps I should keep that to myself. 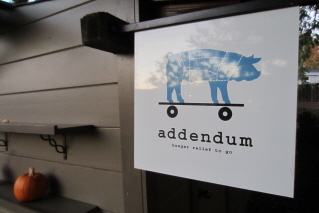 Pro Tip: If you’re short on time or cash, visit Addendum (in the courtyard behind Ad Hoc) for lunch on Thursdays-Saturdays instead (Summer months only). For under $20/person, you can choose buttermilk fried chicken, barbecue ribs, or pulled pork and sides. We literally ate the exact same thing and enjoyed the same rich coffee. And we left just as happy. I had read a feature on Medlock Ames in Food & Wine magazine in years past and found it serendipitously perfect to have a promotional coupon for their ranch tour. Getting to the ranch was a bit of an adventure but once we settled in, we enjoyed a most leisurely and delightful morning. As it would happen, there were only 4 people in our tour so we had all the time in the world to stroll the gardens with our Chardonnay and the vineyard dogs, spend a considerable amount of time in the production facility, and then while the rest of the morning hours away tasting the rest of their wine lineup and tasting cheese. We loved our visit and enjoyed even briefly meeting winemaker Ames Morison. Medlock Ames is turning out some impressive wines across the spectrum, but I fell in love with their reds. I took home a bottle of the Merlot but later joined their wine club and have since amassed a nice little collection. I can not recommend them highly enough! They also have a beautiful tasting room in Healdsburg. Our leisure at Medlock Ames meant a fast lunch was in order. We stopped into Healdsburg’s Oakville Grocery for hot deli sandwiches and a bottle of Coke. My world was rocked when I tasted the Chicken Gruyere sandwich I ordered while speeding (not really, of course) to our next tasting. Rotisserie chicken, balsamic onions, pancetta, Gruyere cheese, and Dijon on a sour baguette. I still wish I could have another. 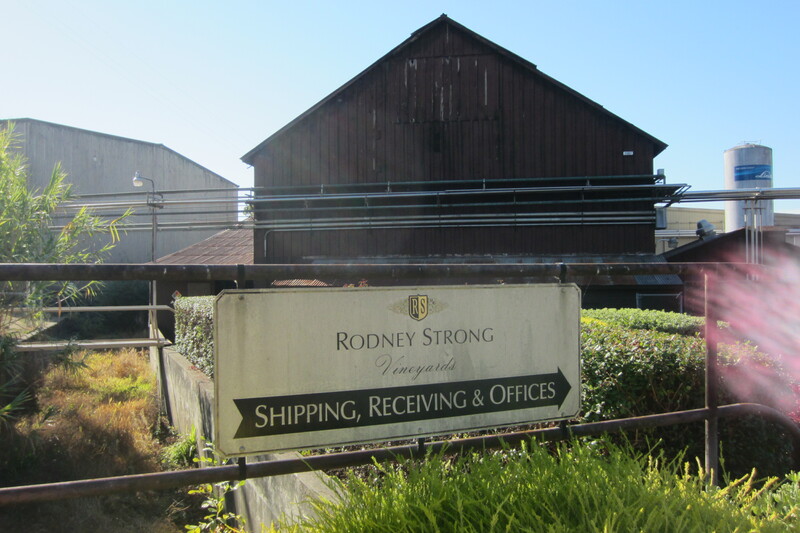 We flew in the door at Rodney Strong just as our VIP Tour group was assembling, and our gracious guide greeted us and we were off! 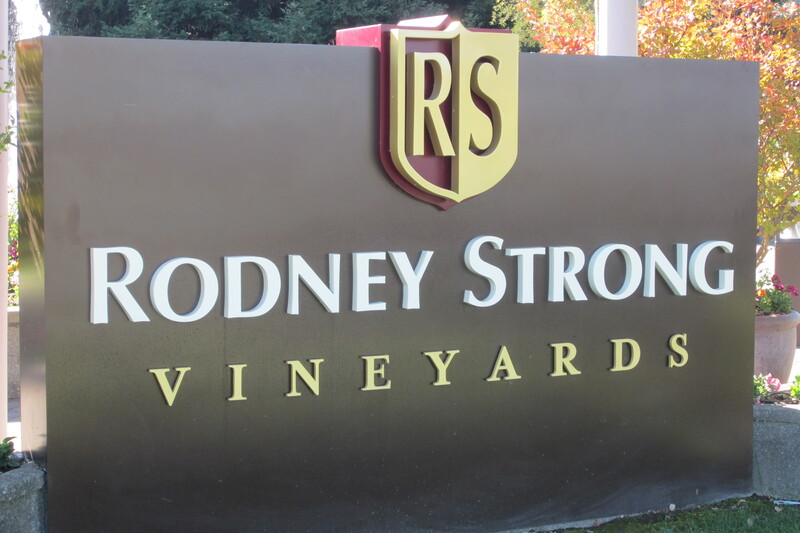 Although this was my least favorite stop on our trip, it was interesting to see such a large wine operation and hear the rich history of Rodney Strong’s wine adventures. This tour group was significantly larger and we felt slightly out of place. Most of our group seemed there for the free wine, and our guide seemed accustomed to that. The wines were consistent and good; however, I didn’t take home a bottle as they are readily available just about anywhere in the U.S.
Healdsburg is such a lovely little town that we popped back in for an ice cream after our tasting. We sat on a bench and people-watched in the town square. Lovely. With a little planning, a trip to wine country feels like an extended, glorious picnic. We drove scenic highways and country roads, we enjoyed spectacular wines, we ate fresh and delicious food, we took beautiful walks, we wandered markets and specialty stores. We did whatever we wanted and it was perfectly relaxing but always interesting.